Milk + Acid + Heat = Cheese! The first Cheeseboard for February is one you can serve with all homemade cheeses! Our Cheese Whiz class will show you how. Chevre: on the black plate in the picture above, we’ve got chevre made from goat’s milk. It’s creamy and mild (since this one is minimally aged). You can top with Maldon flake salt, lemon curls, and oregano, or you could roll into a log and encrust with pepper, sesame seeds, tapenade…your imagination’s the limit. Fromage Fort: in the foreground in the picture above, we’ve got fromage fort smeared on crostini. A strong, spreadable cheese spiked with booze…it has all the great qualities of a fabulous fondue but in smearable form. You can’t buy this magical stuff anywhere…homemade only. Homemade Mozzarella: in the bowl, in the picture above. You don’t know mozzarella until you’ve tried up-to-the-minute fresh. Talk about melt-in-the-mouth! Here, we serve in solitary splendor, with a drizzle of our finest olive oil, a sprinkle of baby basil and thyme leaves. 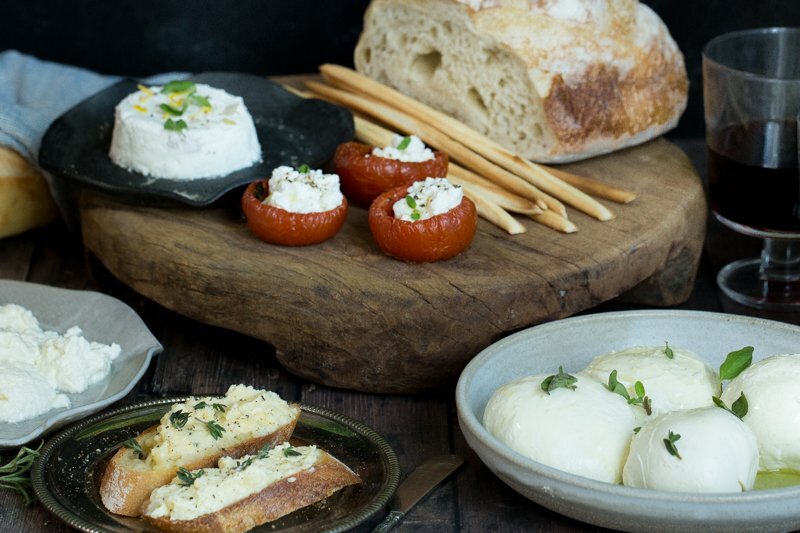 Fresh Ricotta: did you know you can make a luscious, creamy, fabulously fresh ricotta in minutes? Dress it with some sea salt and lemon zest and eat it with a spoon! You can serve it in cute roasted tomato cups, here’s a recipe to make them! makes 24 tomato halves, ready to stuff with fresh ricotta and mint, drizzle with olive oil and serve with goat cheese and olives, or a thousand other ideas you may have! Preheat your oven to 275°F. 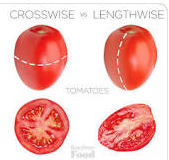 Slice the tomatoes in half crosswise, and use a thin spoon to scoop out the seeds. Place the tomato halves on a baking sheet, skin-side down. Drizzle with the olive oil and sprinkle with the oregano, garlic, Maldon salt, and fresh black pepper. Roast in the oven about 2 hours, until shrunken. They’ll be packed with flavor! These beauties will keep in the fridge in a sealed container for up to a week. Please bring up to room temperature before using. This looks fantastic! 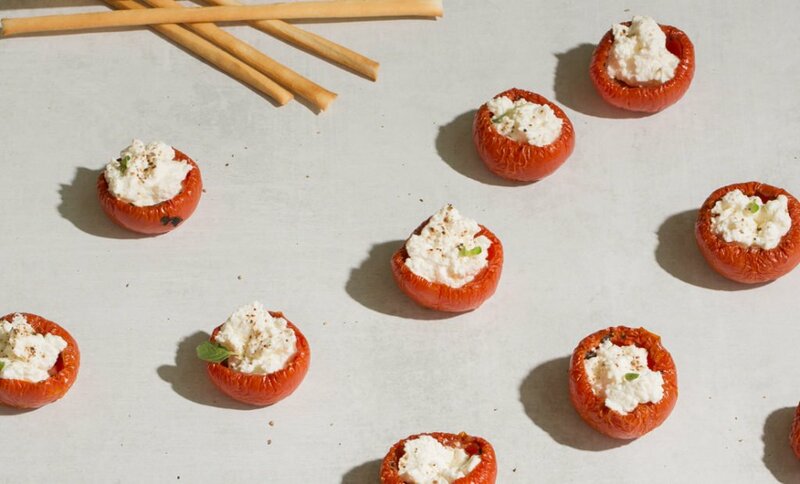 I’m going to add the ricotta stuffed tomatoes to my Superbowl menu!